William McKinley Runyan, PhD, is a Professor in the School of Social Welfare, and a research psychologist at the institute of Personality and Social Research of the University of California, Berkeley. He received his PhD in clinical psychology and public practice from Harvard University in 1975 and has been a professor at the University of California, Berkeley since 1979. 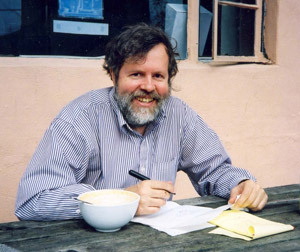 Runyan is the author of Life Histories and Psychobiography: Explorations in Theory and Method (1982) and editor and coauthor of Psychology and Historical Interpretation (1988). With Gardner Lindzey he co-edited A History of Psychology in Autobiography, Vol. IX, 2007. This contained autobiographies by Elliot Aronson, Albert Bandura, Jerome Kagan, Daniel Kahneman, Elizabeth Loftus, Walter Mischel and others. Runyan reviewed the history of the study of lives in the Handbook of Psychobiography (2005). His intellectual autobiography is sketched in "From the Study of Lives and Psychohistory to Historicizing Psychology: A Conceptual Journey" (2003).